Website for American composer and improviser Ray Evanoff. Video of Kate Ledger’s recent performance of A Series of Postures (Piano) featuring interviews with Kate and myself available here. Video by Angela Guyton. Negotiating the Absolute Location of Buoyancy will be given its Finnish premiere by Samuel Stoll on 10 February 2014 in Helsinki, Finland. 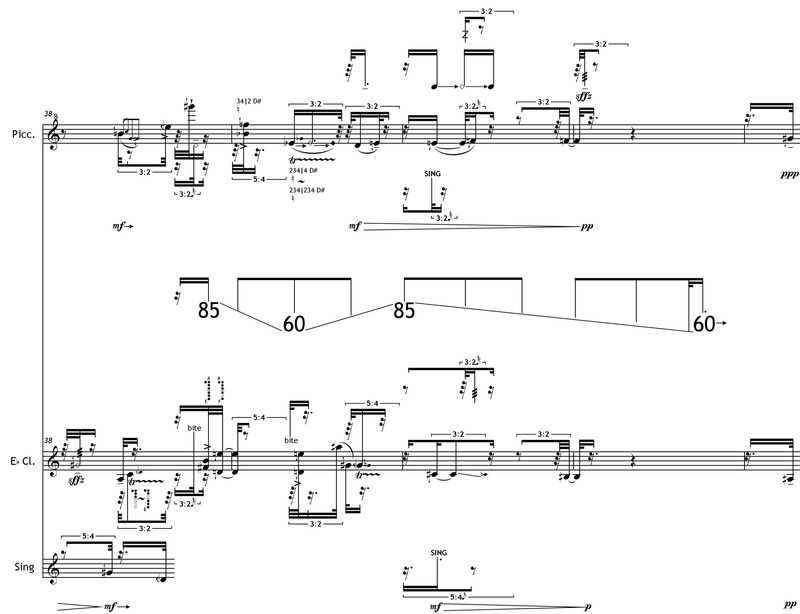 Notables (piccolo and eb clarinet) will be premiered by Stephanie Bell and Liam Hockley in Vancouver, Canada on 27 March 2014. For the Sake of Opacity (A Catalyst for Honesty) will be performed by Amanda DeBoer Bartlett, Shanna Gutierrez, and Jesse Langen in New Orleans on 11 April 2014 as part of ANODE 2014. For the Sake of Opacity (A Catalyst for Honesty) will be performed by Amanda DeBoer Bartlett, Shanna Gutierrez, and Jesse Langen at Constellation in Chicago USA on April 14, 2014. A Series of Postures (Piano) as part of MATA Interval 7.1, co-curated with Mabel Kwan, at the Issue Project Room (Brooklyn, NY) on December 20, 2013. Updated on January 28 2013.